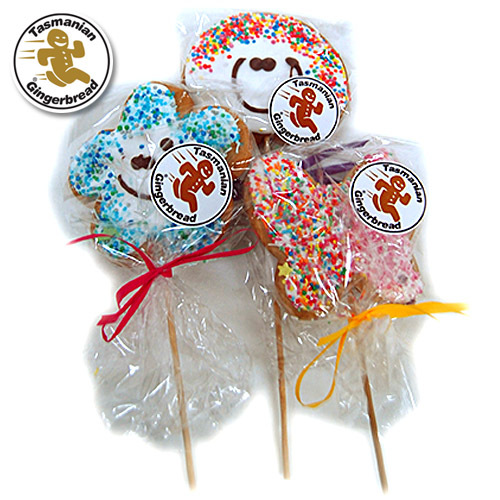 Gingypop - Gluten Free Recipe decorated biscuit on a stick. Designs will vary. Designs include faces, flowers, butterflies.